The tongue- in one moment, it can encourage and with another, wound. The Bible says that nothing can set a forest so aflame than the fire started by the tongue. (James 3) James continues to tell us that if a person can tame the tongue, they can tame the whole body. That’s a pretty bold statement. Have you ever met someone who doesn’t seem to have that little filter between their brain and the tip of their tongue. Most days, they blurt out whatever seems right to them without considering the consequences. Do you have a small tube of travel size toothpaste? Take a minute and grab it for me. Now, take a plate or paper towel. Take the tube of paste and squeeze it all out onto the plate or towel. It’s kind of fun, right? Now, take the toothpaste and put it back into the tube. What do you mean you can’t? Well you are right, you can’t. We can attempt to do so, to no avail; our words are like the toothpaste. Once they are out they cannot be put back. What you have said will ring in the person’s ears for the rest of their life. The end result of our toothpaste experiment is to wash the plate or throw away the paper towel. Not so simple with our words; the fallout from our words may last a lifetime. Proverbs 4:23 says that the heart is the well spring of life—what is in the heart is what spills out when we are bumped in life. That tells me that I need to be aware of what I am putting in my heart—the music I listen to, the movies I watch, the books I read. All will have an influence on what spills out of my heart and my mouth when I get bumped. Occasionally, someone will be sarcastic and, although many times what they say is true, it always makes me take pause and ponder what part of what they are saying is truth and what part, although truth, is bitterness seeping out of their heart. The old adage, ‘sticks and stones can break my bones, but words can never hurt me’ was declared by an idiot. (yes, I thought that one through before I said it). There are times I wish someone would have smacked me across the face rather than say what they had to me. The bruising on my face will heal, but scars on my heart will always remain. And in the same way that words can cut so deeply, they also can encourage greatly. Next time you give someone a compliment, watch their eyes light up and their countenance change as the encouraging words you’ve said cover them like a healing balm. Beginning today, what will you do to encourage others with your tongue? To bring healing and life to others with your words, rather than being a person who wounds and tears down with bitter and venomous words. Right after Thanksgiving, and after a hurtful family interaction, I received a Tweet from Melissa Moore Fitzpatrick, Beth Moore’s daughter. I love her fresh thinking, funny personality and sweet spirit. She tweeted a comment of buying extravagant gifts for those boycotting Christmas this year. Her tweet got me thinking and that is when I decided to write about the 12 days of conflict. However, when I got to the subject that originally sparked my idea I developed writer’s block. It’s not that I didn’t have anything to write—the problem was that I couldn’t honestly write about the practice considering the condition of my heart. My heart is still wounded from a family member and I just can’t bring myself to heap coals on their head. See Proverbs 25:21-11 and Romans 12:20. So, I decided denial and avoiding the blog article was the best route to take. But, here it is, two days past Christmas and my conflict still remains and the solution to the problem evades me. The emotions are still too raw and in my case, perhaps enough time hasn’t passed for me to work through the process of getting to where heaping burning coals would be done out of love rather than manipulation. Sometimes knowing the right thing to do doesn’t always mean the right thing to do is easy. So, what exactly is heaping burning coals you ask? What on earth was the Bible talking about when mentioning this archaic practice in its pages? 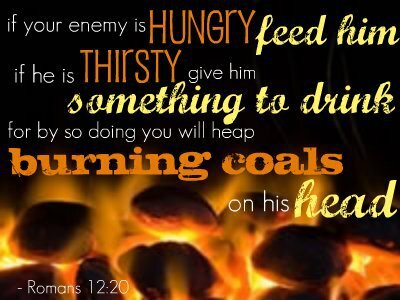 Some would say that heaping coals would be practiced to bring the person to repentance by heaping coals on their head to bring shame and guilt upon them for acting so rudely. My personal opinion is that this is not what it means because in Proverbs 25:22, the first part of the verse talks about giving your enemy bread and water—which does them good, not harm. Finally, it states that the Lord will repay indicating to me that ultimately, God is the one who is responsible for the outcome—not me. The practice of the ancient near east I believe Paul is speaking of in Romans 12 relies on the practice in ancient times of women carrying coals. Women would often seek out coals from their neighbors to light fires that had gone out. They would carry these coals in a clay pot upon their head. So if someone were to give them a “heaping pile” this would be a very generous act – since a person really only needs one good coal to light a fire. So, where do we go from here? Knowledge is knowing what the right thing to do is, wisdom is knowing what to do with the knowledge you have. Check your motives. Don’t heap coals to get a rise out of the person but because you seriously want to see them be blessed. Honestly, with one person in my life I have conflict with I must admit I’m not ready to heap coals on their head with right motives. But, I’m asking God to move my heart in that direction. Since the beginning of time mankind has pointed the finger at others in order to keep the finger from being pointed at themselves. One of the classic biblical accounts is when Jesus steps in to protect a woman who has been caught in the act of adultery. John 8: 3-11 (What I want to know is, where is the fellow she was with? And why weren’t the men who were preparing to stone her worried about him?) Just like the men in the account, we are so quick to pick up a stone to hurl at those caught in the act of any type of social faux pox. What I’d like to do today, is take a moment to turn it around. To look in the mirror at the one who is or is getting ready to hurl the verbal stones. Three different scenarios come to mind when I think of stone casting. First, a person caught in adultery. When one partner decides to give into the temptation, there are multiple victims – the partner who has been betrayed, the children who reap the consequences, and the person who gave in to the temptation. The partner is violated; the children are torn between which parent to remain loyal to; and even the person who gave in, must live with the consequences of being labeled forever with a scandalous ‘A.’ I could go on for paragraphs but the bottom line is we are all sinners. In this type of situation, there is rarely a partner without any blame. I am not condoning the affair, but we all need to take responsibility for our own relational deficiencies. Second, an alcoholic or drug addict struggling to get clean. Something within their chemical makeup, environmental history, and current circumstances have brought them to where they are today. Someone once told me they couldn’t believe a friend of theirs was drinking to numb themselves of their current situation. I thought to myself, ‘man, if I was in her friends situation, I’d be drinking too!’ We often joke about this, but the reason for the joke is the reality. We have no idea what a person is going through until we’ve walked a mile in their shoes. If you are fortunate enough to have avoided a particular addiction, or have kicked an addiction than please extend a little grace to those around you who are still in the process. 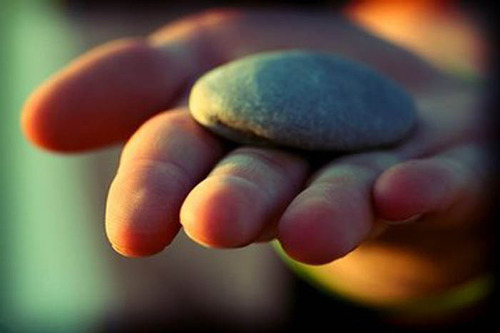 As we gather with our kith and kin this upcoming weekend, let me suggest that we take a breath, take a moment to look into the mirror and reflect on our shortcomings, leave our stones out in the yard where they belong, and offer grace to all. Forgiveness. It’s a word you hear tossed around these days like the word love. Everybody wants it but no one really wants to give it. 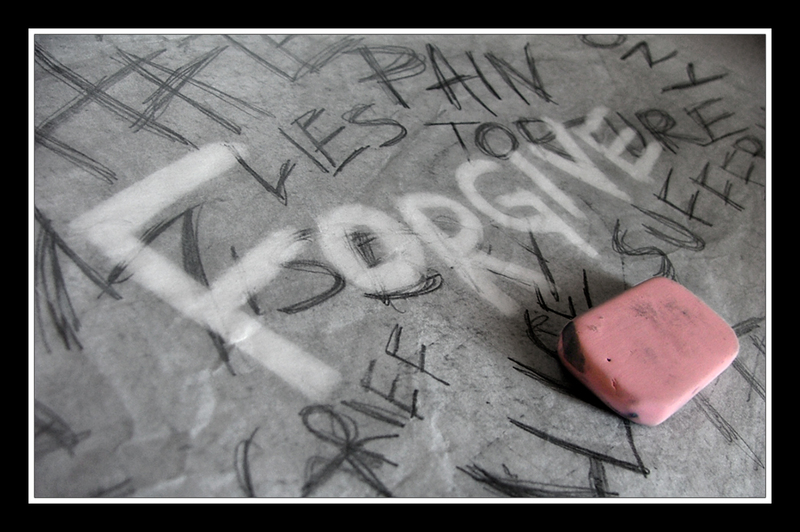 Isn’t it funny though, that the root word of forgiveness is GIVE?? 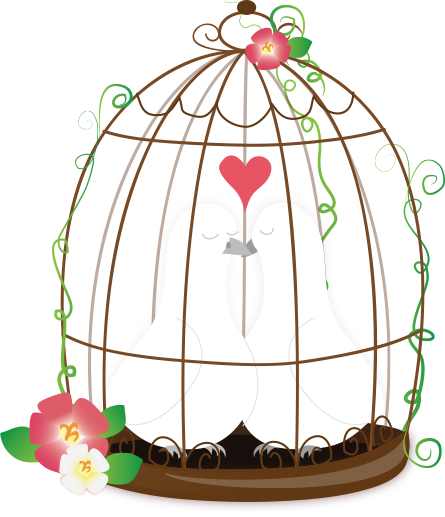 Just as love has many definitions, so does the word forgiveness. People think if you forgive them then you must forget all about it, as well. What exactly is forgiveness and how does it relate to me, not just during the holidays, but every other day of the year? Forgiveness is really a topic too big for a single blog article (forgive is in the ESV version of the Bible 84 times in 76 verses, so it’s definitely a topic of interest)! But, there are two aspects that we can quickly look at that will be a huge perspective changer this Christmas season. First, forgiveness doesn’t mean forgetting. There’s no possible way we can forget all the wrongs done to us. What it does mean is that we decide not to bring it up over and over again to the person who’s offended us, to others around us and silently to ourselves when we’re tempted to have a little pity party. Secondly, forgiving is a process. It’s not a magical emotion we are all the sudden awarded when all the stars align correctly in the sky. It’s the ‘already’ but ‘not yet’ tension. We forgive now, but we also have to remind ourselves that we have forgiven. We live it out while we’re learning the process. Kind of like love-it’s something you’ve finally come to understand and then something happens in your life that stuns you and you realize you actually had very little of a concept of love at all. 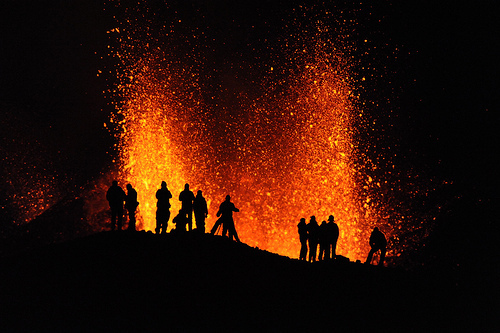 Are you a volcano erupting, and who is in the path of the fall out? When was the last time you lost your cool or blew up at someone? Took your aggression out on the family dog because you knew he’d forgive you, forget it, and his tail would be wagging the next time you walked in the door. Vented like a blow dryer to the first person you saw? All sorts of situations can cause us to get all heated up into a frenzy and ultimately, loose our cool. My personal favorite goes back to a scene in Christmas Vacation with Chevy Chase when he discovers he’s been enrolled in the Jelly of the Month Club instead of receiving a bonus like he has in years past. My apology for using two Christmas Vacation illustrations in a matter of days, but it is the Christmas season. There are many different types of fire or heated scenarios that can affect your life. All cause change and transform the situation. Think of a molten fire that shapes and molds metals at will. Extreme heat and pressure turn coal into diamond. (all of us would rather receive a diamond than coal for Christmas) Passion fuels a vision, marriage or relationship, but just as easily can damage those things. Fire, in the form of a simple flame, can be a heat source that protects from the cold, but if unattended, can destroy material possessions or anything that resides in its path. With every positive in life, there is also a negative. Think of a magnet. Positioned one way, it pulls itself firmly to an item but when turned around will repel itself from its own kind. The same is true for heat, fire and passion. Alone, each has the potential for great good, but each can also do great harm. What are the lessons from nature we learn, and how does it apply to us personally? Passion. We can’t live with it but we can’t live without it, either. It’s the fuel that keeps the vision thriving. It’s the magic in a marriage that needs to be revitalized. It can also be the breaking point in a relationship that has a fissure. Be careful with your passions. Not everyone is passionate about the same things you are. In fact, your passion may be a touchy subject for someone else. I Peter 3:13 tells us to be sensitive talking about things you are passionate about at family gatherings. Not everyone is going to be as excited as you are about, let’s say, your favorite political candidate. Fire can be used to warm a room when it’s cold outside or can destroy a home when left unattended. Fire is used to burn underbrush fuel to prevent wildfires but if handled incorrectly, can set the entire forest aflame in a matter of minutes. The same way fire can destroy a forest our tongues can destroy a relationship. James 3:5 So also the tongue is a small member, yet it boasts of great things. How great a forest is set ablaze by such a small fire. What is the bottom line when it comes to the heat in our lives? I don’t think it would be an understatement to say we need to handle with care. How you respond in each situation will affect those around you like a row of dominoes standing at attention just waiting to be nudged. Be the one to stand firm in your faith and not allow the heat and circumstances of the holidays knock you down.